In a world where Japanese publishers have finally started to embrace global simultaneous releases, and there’s no longer much stress over whether we’ll see niche role-playing games come to the West, one series remains woefully behind: Trails, also known as Kiseki, also known as the best JRPG series out there. Falcom, the prolific studio behind Trails, is already talking about Trails of Cold Steel 4 in Japan, telling fans that it will have more playable characters than any previous game in the series. But here in the United States, where there are (probably) billions and billions of Trails fans, we haven’t even gotten Cold Steel 3. And we’re still waiting for the two other games, the “Crossbell duology” that fans have unofficially labeled Trails of Azure and Trails of Zero, with little hope that they’ll ever come here. What’s special about the Trails series is that it’s all set within the same world. Characters cross over, plot lines intersect, and threads continue from game to game, telling a grand story that feels more like a great TV show than any other role-playing game. 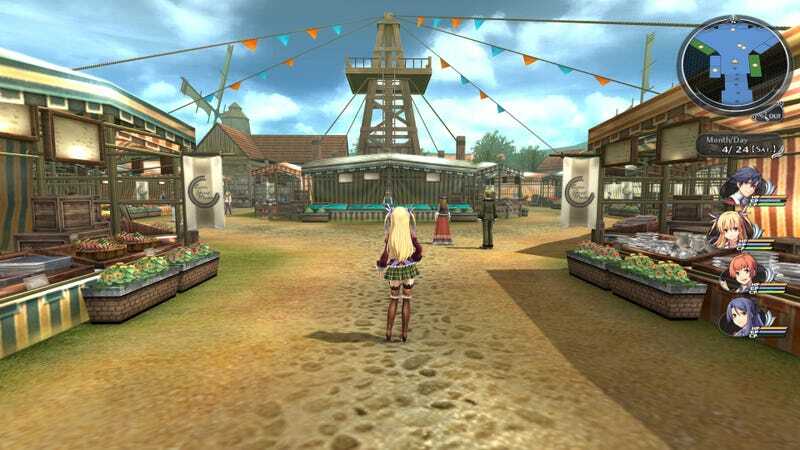 So far, publisher XSEED has managed to localize the Trails in the Sky trilogy and the first two Trails of Cold Steel games here in the United States, for a total of five games. It’s not clear if we’ll ever see the other three games (or the upcoming, newly announced Trails of Cold Steel 4) here. There’s another wrinkle. For the recently released Ys 8, the newest entry in Falcom’s other big RPG series, the Japanese developer chose to go with NIS America for the U.S. release. (This may have been a mistake, as the localization was so bad, NIS America is rewriting it all.) Previous Ys games had, like Trails, been published by XSEED here in North America. It’s not clear why Falcom switched publishers, but the move certainly has negative implications. As big Japanese publishers like Nintendo and Square Enix work to release most of their games at the same time in both Japan and the West, it’s sad to see Trails remain an outlier. My suggestion: put them all in one package on the Switch. You got this, Falcom.